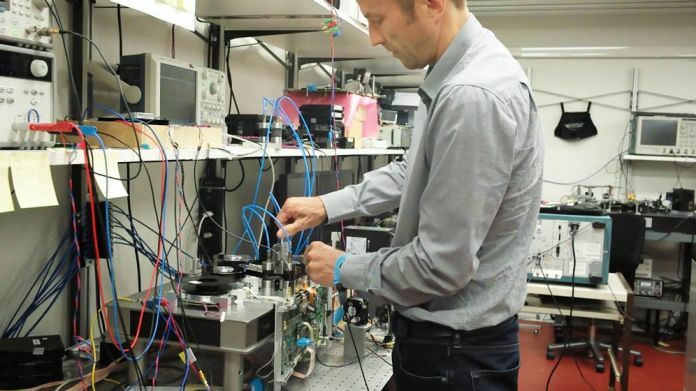 At IBM, scientists have set a new world record to store over 330 Tera Bytes of uncompressed data on a single tape cartridge. Scientists have developed a prototype of palm-fit magnetic tape drive that can store an enormous 330TB of uncompressed data. The tape cartridge itself is so small that it would easily fit in someone’s hands. Essentially with this new achievement, IBM managed to store 201 GB of data per inch square on this prototype tape. IBM explains that the magnetic tape cartridge storage is still “most secure, energy efficient and cost-effective solution” for storing large chunks of data, and useful for backing up data, even with cloud computing. By bringing together “new magnetic tape technology employing lubricant with IBM Research – Zurich’s newly developed write/read heads, advanced servo control technologies, and innovative signal-processing algorithm”, this achievement was made possible, Sony said. It further pointed out that closing the gap between the magnetic tape and magnetic head is critical to achieving high-density recording capabilities for tape storage media.